This pack works especially well for special education, early learners, at-home practice, and even just extra practice for your students! I originally began creating these worksheets as alternative to center activities for a couple of my emergent level learners. But the unexpected surprise was that all of my kids fell in love with the activities! Seriously. What is the deal with first graders and dry erase markers?! I ended up printing out 3 extra copies of each worksheet and making a total of 5 binders so that there are 3 "community" binders for the whole class to use. 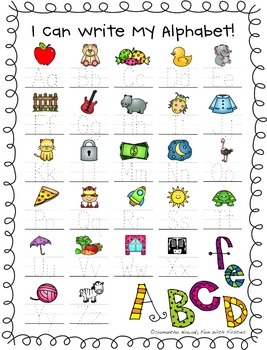 I will make them available as a Fast-Finishers activity. SUPER for a little extra practice! And the great thing is...NO LAMINATING OR CUTTING! woohoo! 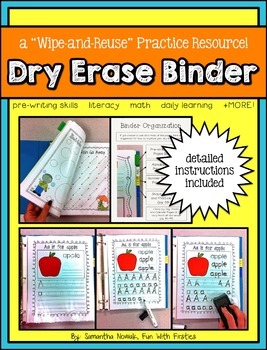 All you do is print each page and place the pages you want to include in your binder in basic plastic page protectors. Stick everything in a binder, grab a whiteboard marker, and you're ready to go!